Fight wrinkles and UVA/UVB damage with this award-winning healthy skin serum. 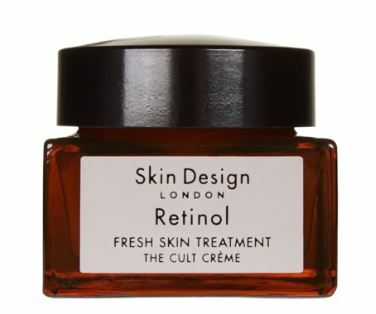 Skin Design London has carefully constructed a series of Superstar Serums to complement and enhance each other. C Anti-oxidant Serum provides the fundamental cornerstone of skin health and should be incorporated into skincare regimes universally. Apply 2 to 3 drops to clean, dry skin or mix with other serums, oil, moisturizer or foundation for added protection and radiance. Plant Emblica (Indian gooseberry) brightens and evens skin tone, reduces redness and inflammation, promotes wound healing. Do you want to wake up in the morning with skin feeling as fresh as the morning dew? Try this superstar serum that nourishes and revives dull, tired skin. It has been formulated with a gradual-release system that minimises irritation by blending in arnica to help reduce inflammatory responses. DarkoutTM (Caesalpinia Spinosa Gum, Hypoxis Rooperi Rhizome Extract) improves overall skin colour, reducing age spots, freckles and hyper-pigmentation. Indulge your skin with intense moisture without overloading it, this wonder serum is light yet it intensely hydrates and protect cell DNA. Hydrating Serum should be layered on top to seal in moisture. This special triple layering is the perfect start for any skin to improve its vitality and glow. AquaCacteen Opuntia Ficus-Indica Cactus Stem Extract calms irritation to block the release of stress markers from sensory nerve cells in the skin. The cult cream and mask heightens and enhances the effects of the serums, and can be layered over or blended together with any of the serums for a truly bespoke skincare regime. 3 % Hyaluronic Acid, boosts moisturisation, keeps skin plump, hydrated and youthful.